In what may be the Mon-Yough area’s most bitter primary contest, four Democrats seek to be mayor of Clairton. 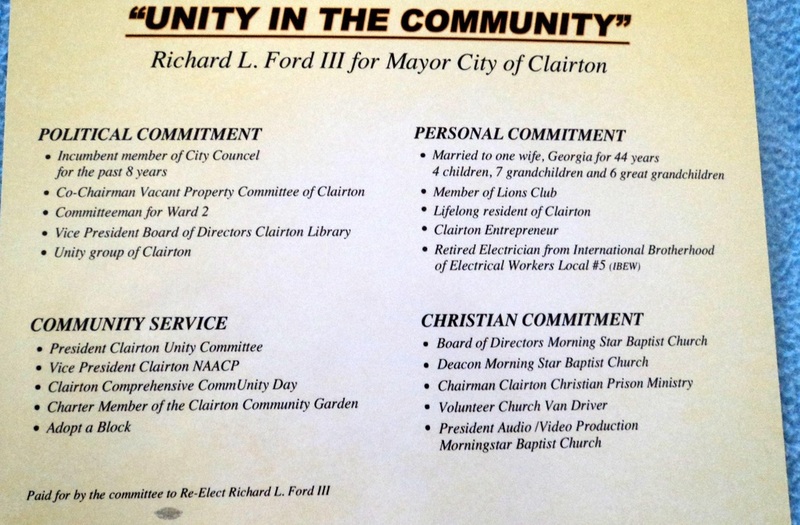 Councilman Richard Ford III, Lattanzi’s main target, said he can bring the city together the same way as a Unity Group he founded took in the city, Clairton City School District, churches, Clairton Chamber of Commerce and Community Economic Development Corp.
Kenneth Barna, a recreation director in Clairton for 10 years, also cited honesty, integ­rity “and the education to run the city,” and said he isn’t a career politician and does believe in term limits. 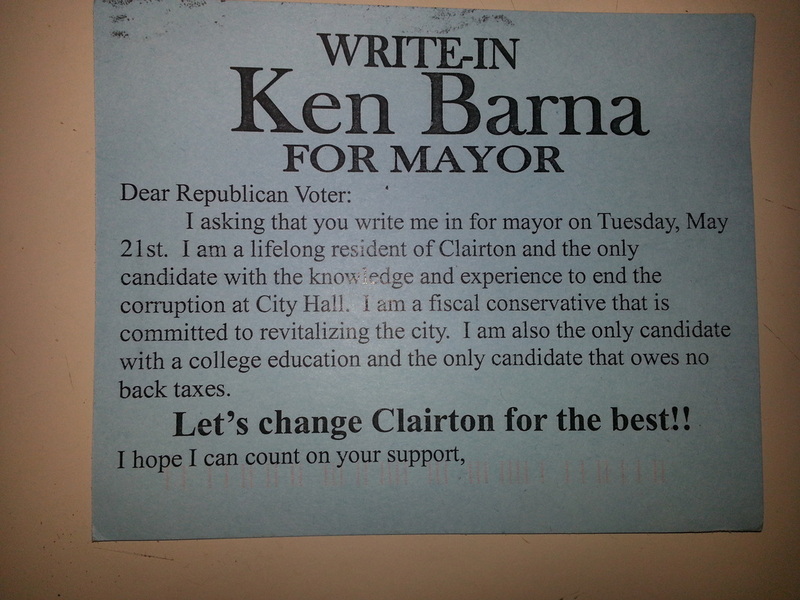 No Republicans are running for mayor or council. Lattanzi said he has no hidden agenda. He defended his U.S. Steel employment when he was elected for his first term as mayor in 2009. Tax issues fueled court challenges against Ford’s mayoral candidacy and Julian’s candida­cies for mayor and renomination to council in Ward 3. 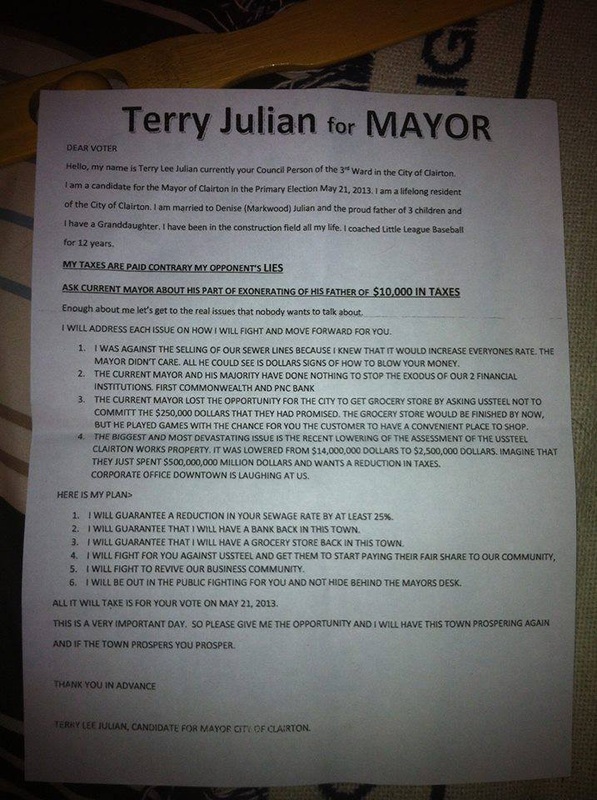 Citing court records, council challenger Lee Lasich claimed Julian owed $34,000 to the city and school district. Julian said Lasich was wrong about what he owed from a defunct business. Lasich’s challenge was filed too late and dis­missed by Allegheny County Common Pleas Judge Joseph M. James. Lasich, a legal secretary, and Julian remain on the ballot for council in Ward 3. Ford also seeks a new council term from Ward 2 but was not challenged there on the ballot or in court. Lattanzi’s challenge of Ford’s mayoral candidacy is still pending before state Supreme Court. Ironically, Ford and Lattanzi were on the same side of another issue recently resolved in the state’s high court. They joined an appeal of the reapportionment of the city from the 39th Legis­lative District into the 35th. The high court upheld that move and the rest of the Legislative Reapportionment Commission’s plan for remapping House and Senate districts. Julian and Barna each saw good in the move of Clairton into a district that also includes the Mon-Yough cities of Duquesne and McKeesport. “We were kind of put in with Jefferson (Hills) and some of the other communities that maybe don’t have the same interests as the Mon Valley river towns,” Barna said. Lattanzi argued for Clairton’s place in the 39th, where other municipalities would not be in need of state and federal aid as would many communi­ties in the 35th. Barna falls back on his past role as a recreation director, saying he knows how to seek out state and federal funding. properties have seen reduc­tions in their assessed values. The largest lot, 242.22 acres, was reduced from $9.25 million to $2.04 million, with builadings cut from $5.8 million to $1.5 million. Julian said total valuation went from $14 million to $2.5 million. The city’s lack of a supermarket also is an issue. Ford said the purpose of the Unity Group was to list problems, prioritize them and then find a way to resolve them. He said the city could have had a grocery store and might not be losing its last bank branch if he had been mayor and the city acted on a plan developed by the Unity Group. He said the loss of a grocery store planned in the old Blair Heights development, “a shovel ready area," is the second to occur in recent years. Ford said a would-be developer wanted a store at Maple Avenue and State Street to complement two other stores he owned, one in Duquesne. “That property was sold from under him,” Ford said. Ford said the city could have done more to help Sierra Development’s Blair Heights plan. Lattanzi said the city already offered $1.5 million in grants, street improvements and a $600,000 tax abatement. As the election for mayor heats up in the city of Clairton, there is only one clear choice for this office and (I), cur­rent Mayor Rich Lattanzi, am the man to continue in (this) office. 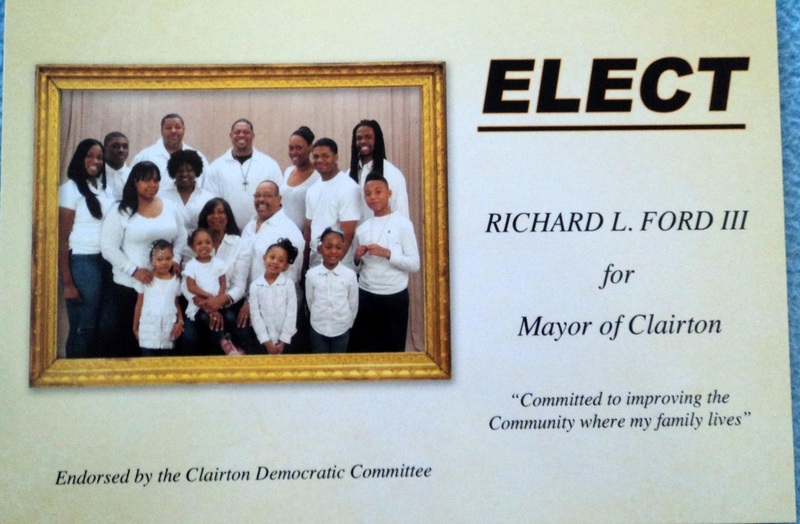 This race is critical for the future of the city of Clairton and I would love to continue to serve the citizens of Clairton as their leader. I have worked hard the past four years, being a man of strong character, honest and always supporting the best interest of Clairton, and most impor­tant I owe no back taxes or any debt to the city of Clairton. While we are making a priority fight­ing crime, drugs and going after delin­quent taxes, I feel this may not continue with any other of the mayor candidates. to make; I lost some good friends and they lost their jobs. One area that we were able to strengthen and for good reason is public safety. Police, fire and ambulance service receive the support, knowledge, resources and backing they so deserve.